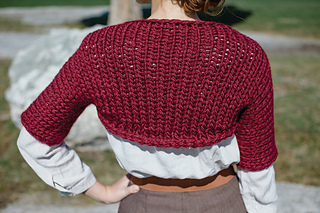 This chic and simple shrug is designed to be knit for a custom fit. Just cast on, knit until it’s the right size for your arms, then seam the arms. 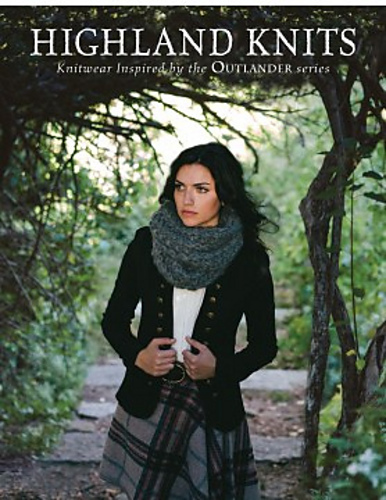 Wear it over a dress or blouse to keep warm when Highland winds blow.